How We Survive (poem on grieving) | Mark Rickerby's blog AND (insert trumpets here) God's Sitcom – Messin' with Mark! I once visited Pere Lachaise Cemetery in Paris, France. It’s a strange place, full of odd, gothic sculptures, many of which didn’t make me feel any better about death. For instance, I could have done without the skulls with bat wings and couldn’t figure out why anyone would want them on a relative’s grave. Unless Herman Munster was buried there. It might work then. When I was younger and hadn’t lost anybody close to me yet, death was a fascinating abstraction to me. I was as obsessed with it as your average Egyptian pharaoh. 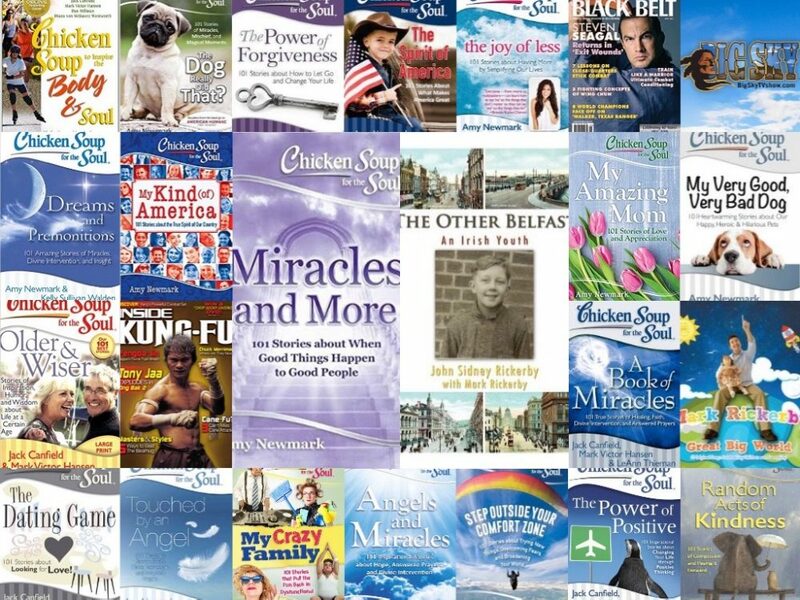 I read all the Time-Life “Mysteries of the Unexplained” books. I attempted out-of-body experiences, astral travel and lucid dreaming. I even climbed over a cemetery wall on a Friday the 13th during a full, blue moon and sat in a freshly-dug grave with a Ouija board and candles. ALONE. Nothing happened, aside from the heebie-jeebie’s of my own imagination. I stood in that grave and cursed the devil, daring him to appear to me. I was that crazy. For some reason, I desperately needed to know if there was something beyond this life. I had what little faith had been gathered from my mother saying The Lord’s Prayer to me at night as a child. (They didn’t go to church regularly.) But I needed proof. Looking back, I think my obsession with death mirrored my love of youth. I was acutely aware even then of how transitory youth is, and how many doors opened because of it – professionally, romantically, and otherwise. But as time passed and death actually came to meet me, most notably in the sudden death of my brother and only sibling, I stopped investigating and making a pageantry of it and instead became more obsessed with living completely, with celebrating life, knowing I would grow old and die someday, too. I still feel that way. As Joseph Campbell once said, people aren’t as interested in the meaning of life as much as they are in living passionately and purposefully, and experiencing their lives completely. The human heart can endure anything except endless monotony; years and years of dull, identical days. The worst enemy of sadness isn’t happiness. It’s fun. Good, old-fashioned, seat-of-your-pants, exhilarating fun. Newness. Exploration. 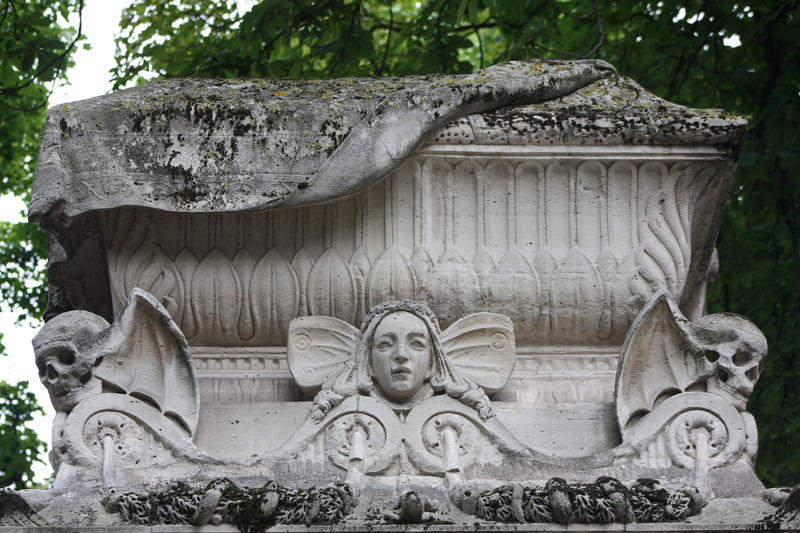 So, because I honor life now instead of death, I don’t remember those flying skulls at Pere Lachaise as much as I remember graves like this one. What a message. A lifeless body breaking out of a stone tomb to hold up a rose. Now that is honoring the spirit of a loved one. Shortly after my brother died, I wrote a poem called How We Survive. Of everything I’ve ever written, it has traveled the furthest. I’ve received dozens of very touching emails from gracious people taking the time to let me know it helped them through the worst part of their grief. If you’ve lost someone you love, I hope it does the same for you. Grief is a terrible burden to bear. I lost my father last December, so I’m walking that road again, and doing my best to live up to my own poem. This entry was posted in Poetry and tagged aging, cemetery, death, dying, grief, grieving, growing old, loss of a parent, old age, Paris, Pere-Lachaise Cemetery, poem, poetry, sadness, travel, youth by markrickerby. Bookmark the permalink.